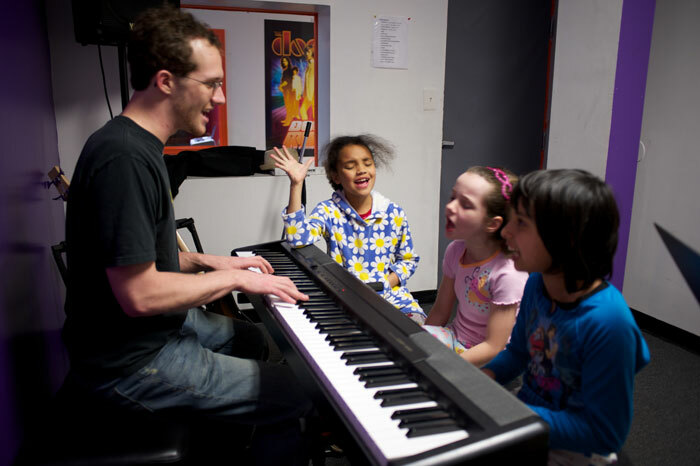 Bach to Rock is a franchised music education school for students of all ages, from early childhood through high school and beyond, with a unique twist. We don’t just provide individual music lessons; we turn music into a team sport by creating student bands that learn to play sets, record music in a studio and perform in public. We offer kids exposure to all forms of music — Top 40, classical, hip-hop, blues, country, gospel, jazz, a cappella, bluegrass, electronica and more. Since opening our first corporate school in Bethesda, MD, in 2007, we have embraced the philosophy that learning music should be fun. 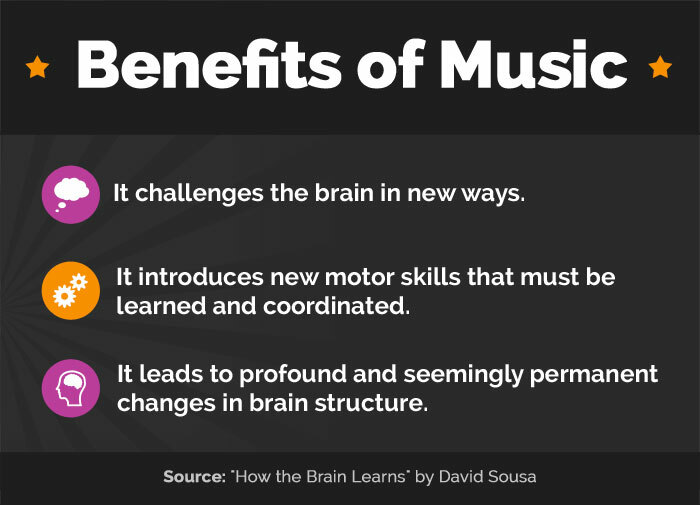 Students learn best when they play music they love. And they love learning when they get to play that music with other kids. Our schools provide weekly ensemble instruction, as well as private lessons. Our student bands play public community concerts, compete in a Battle of the Bands and participate in recording sessions in Bach to Rock’s professional recording studios. The upshot is that Bach to Rock is reinventing music on a national scale. CIG, our parent company, has already invested more than $20 million into the Bach to Rock concept to perfect the business model and create a scalable business that translates into a reputable nationwide franchise system. We already have the look, feel and return on investment of a large national brand. Our vision is to build hundreds of schools across the country, become the “it” brand music school and to make our performance-based, team-sport approach to music instruction commonplace. Talk to our music instructors, and they will tell you story after story about students who are blossoming at Bach to Rock. Nayan recently talked to a parent of a talented 11-year-old who’s transforming into a more confident kid because of Bach to Rock. “Anything” means this parent will do whatever it takes to keep paying Bach to Rock to help his child stay confident and shine. Parents don’t relate to Bach to Rock as just another music school. By performing regularly in public, our kids learn stage presence and how to be confident in their own skin at all times. When you were a teenager, were you and your friends comfortable in your own skin? What would have been possible if you were? At Bach to Rock, we have countless success stories like that one. 2. Play in a band. Our students tend to practice more when they know their bandmates are counting on them to perform. They learn how to function well in a group and play well with others — crucial life skills as they grow and mature. 3. Perform in public. Applause is a powerful motivator. 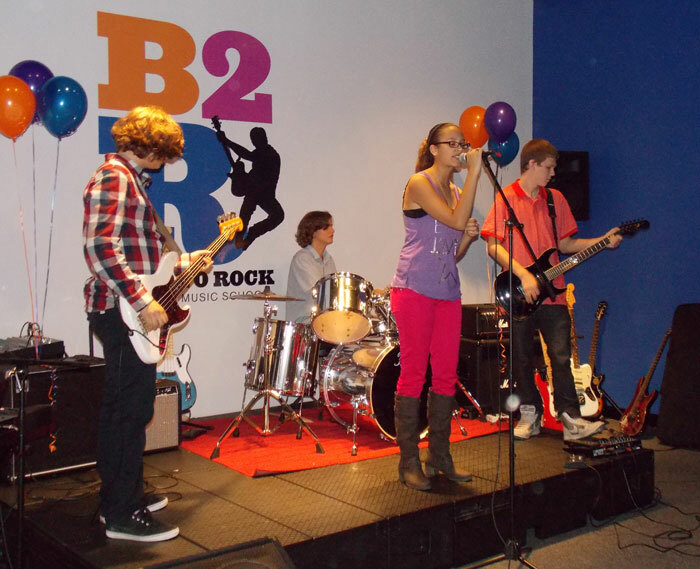 Our student bands get to perform at community concerts and participate in our popular Battle of the Bands competition. Many surveys show that public speaking is one of people’s top fears. Our kids don’t suffer that problem. They learn how to shine in public and grab the attention of a room. 4. Recording as an educational tool. 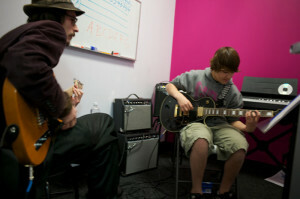 Bach to Rock schools are equipped with state-of-the-art recording studios that give students the opportunity to compose, write and record their own music. Imagine the thrill of a 15-year-old girl being able to record a CD of original songs, or a punk-inspired band hunkering down in the studio diligently learning all aspects of musicianship. 5. Early success. 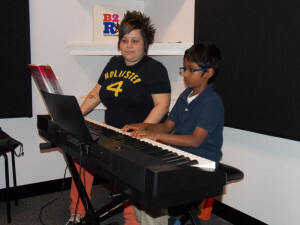 Using our proprietary curriculum, we can teach a student to play a song within her first hour of instruction. We start kids on simplified versions of songs and gradually increase the complexity as they gain experience. Helping children find a voice through music is a worthy endeavor, and with a scalable business model suited for both single- and multi-unit investors, it also can be a profitable one. Find out more about the Bach to Rock investment by clicking the button below.